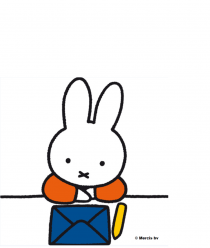 Miffy has rounded up the best gifts to give adults this Christmas! With just over a week to go until the New Year, get yourself organised with the new 2017 Miffy calendars! Miffy is so excited about Christmas… particularly as this weekend she will be joining other iconic characters in London in the famous Hamleys Christmas Parade!